Makassar, Hasanuddin University. SPE Hasanuddin University Student Chapter celebrated the National Education Day (a.k.a HARDIKNAS) with held a blood donation event at Wednesday ( 2/5/2018 ) with themed “A Drop of Blood for a Million Life”. This activity was held in first floor of Hasanuddin University’s central library and collaborate with KSR PMI Hasanuddin University. 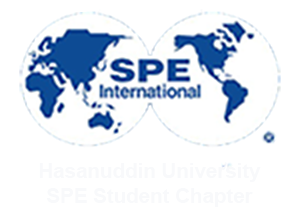 “We want to prove that SPE Hasanuddin University Student Chapter is not an organization that only focus in petroleum, but also in social.” said the president of SPE Hasanuddin University SC, Muh Resky Ariansyah. The purpose for this event are not just to collecting the blood and gave awareness to our board and staff about care to each other but also we want to introduce SPE Unhas SC to all the students in Hasanuddin University. That is one of the reason why we held this event in the center of Hasanuddin University. Blood donation start at 10.00 am until 01.00 pm. The potential donors had to pass some medical requirements if they want to donate their blood. Several medical requirements that they had to pass were blood pressure, ideal weight, adequacy sleep time, no consumption medicines a day before, and no tattoo. The project manager, Ms. Hanifah Hamdah, wished that SPE Hasanuddin University SC can get minimum 30 blood bags from this event. Although in the end we only get 27 blood bags in the interval of time, but we already been happy because we success to do this event. Because in the end, it’s not about the number that is matter, but it is all about the process that will matter.